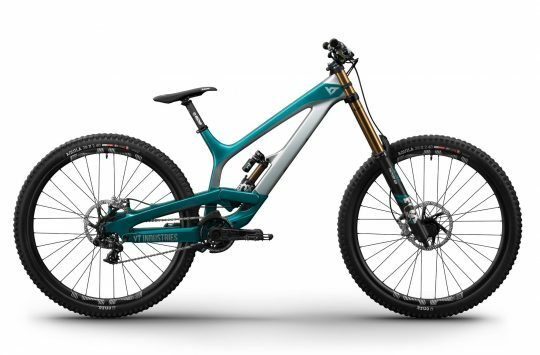 Last year, German direct-to-consumer brand, YT Industries, launched its all-new Jeffsy trail bike. 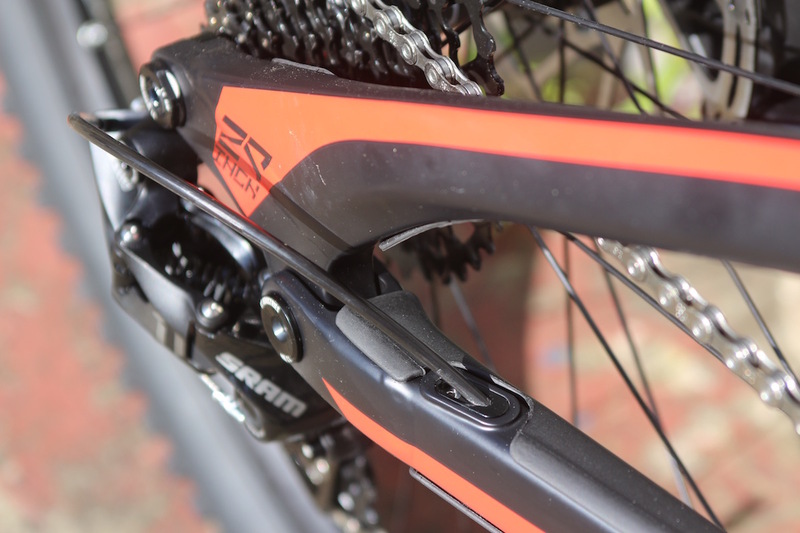 Slotting in underneath the Capra enduro bike, the Jeffsy debuted as a 140mm travel trail bike equipped with 29in wheels and geometry geared towards all-day trail riding shenanigans. 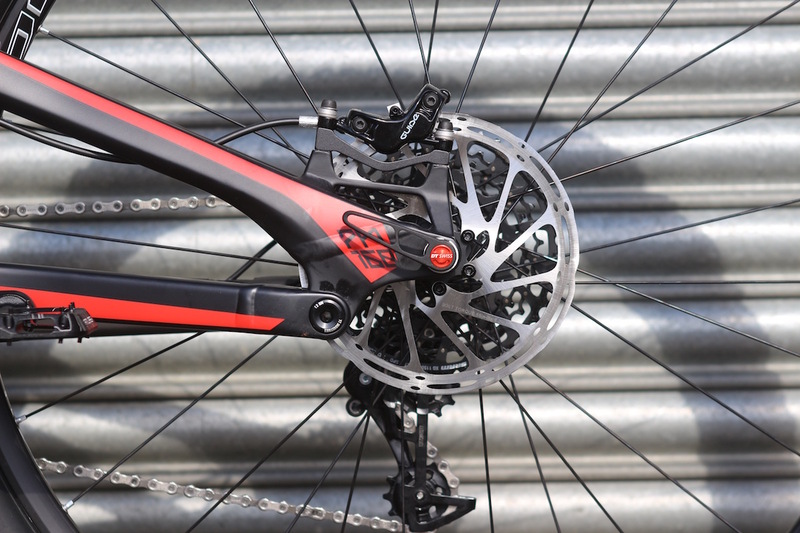 About twelve months later, YT then introduced a 27.5in version – kind of the reverse of many other bike brands roll out different wheelsize versions of the same bike. 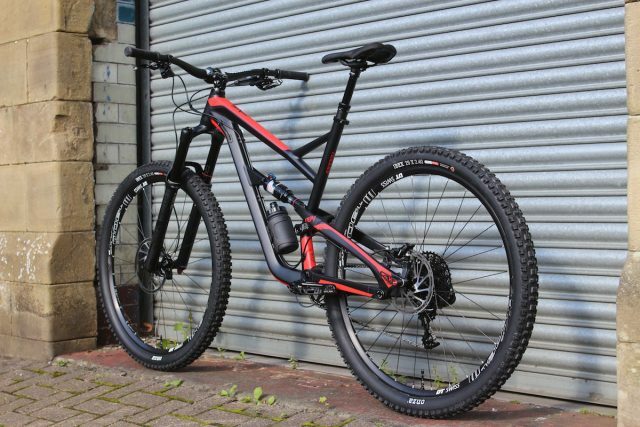 Anywho, it’s been a while since we’ve seen anything YT related, so as part of the ‘Alloy Iterations’ group test in Issue 115 of Singletrack Magazine, we decided to get one of the new Jeffsy’s in to see what it’s all about. 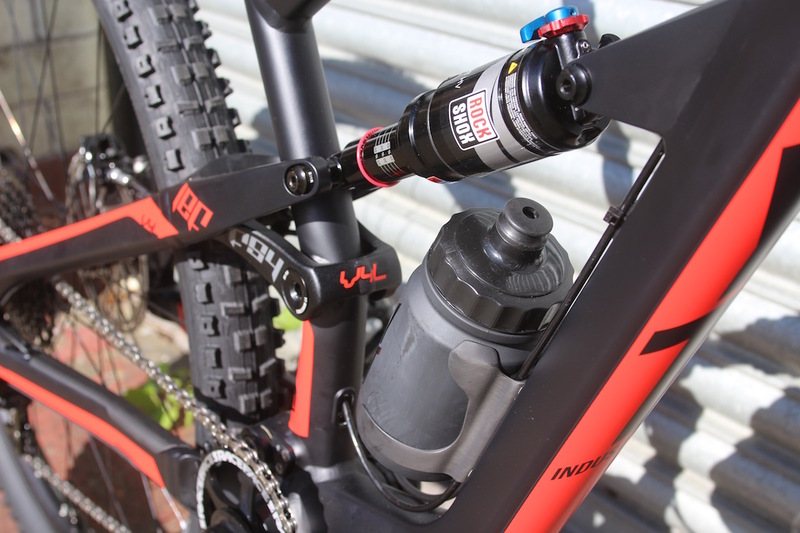 It’s the Jeffsy – YT’s 140mm travel trail bike that slots in underneath the Capra enduro bike. “JEFFSY is ready to be your new bro and wingman. You’re going to be the new dream team. Whether on your home trails or crossing high mountains, JEFFSY scales the toughest peaks with unbelievable drive and traction, and inspires you to unexpected performances. JEFFSY lets you discover the most remote locations, climb the highest peaks, and keep it pinned on the way back down. Because JEFFSY is the YT of All Mountain bikes, it won’t hold you back even in the roughest terrain. 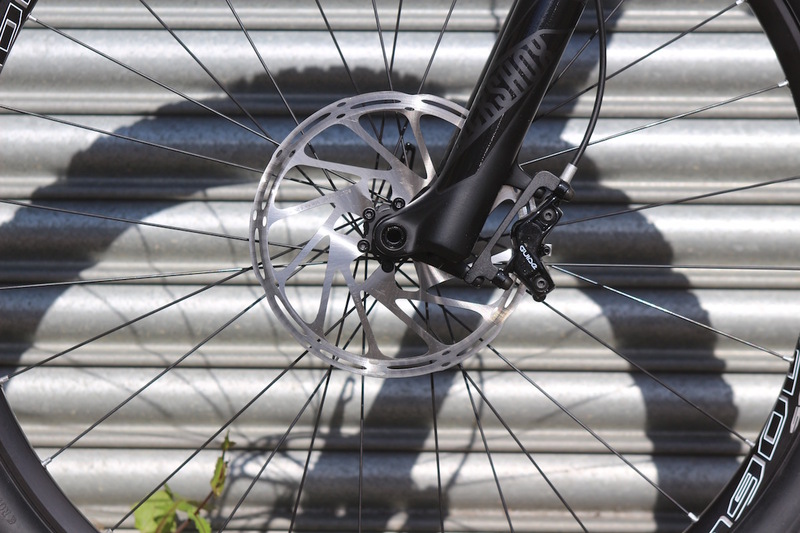 Thanks to its gravity oriented geometry JEFFSY remains agile and playful, even with the 29” wheels. 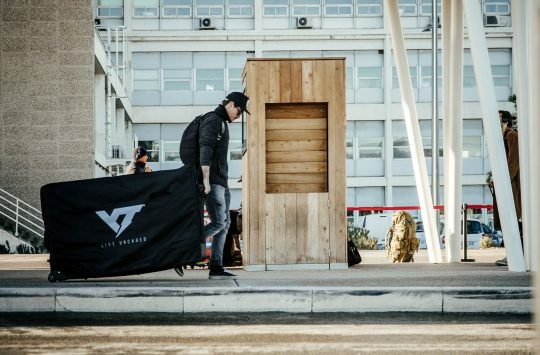 And to meet our high design standards we gave JEFFSY super compact proportions – you two are going to get a lot of looks!” – YT Industries. 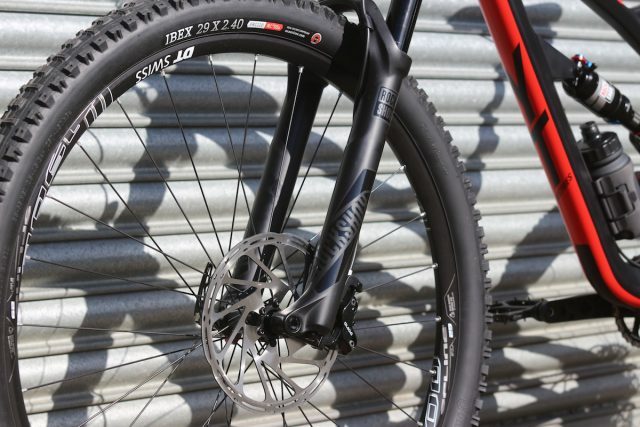 The Jeffsy can be had with alloy or carbon frames, and with 29in or 27.5in wheels. 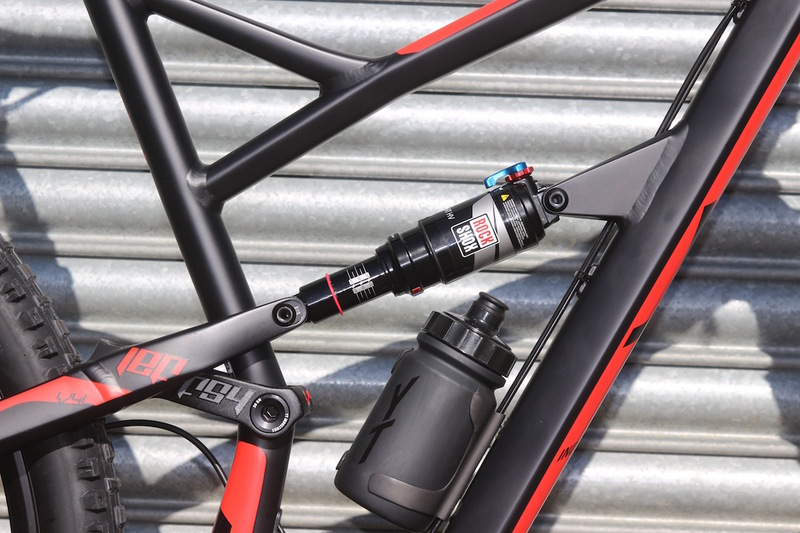 The Jeffsy AL One 29 features an air-formed alloy tubeset. 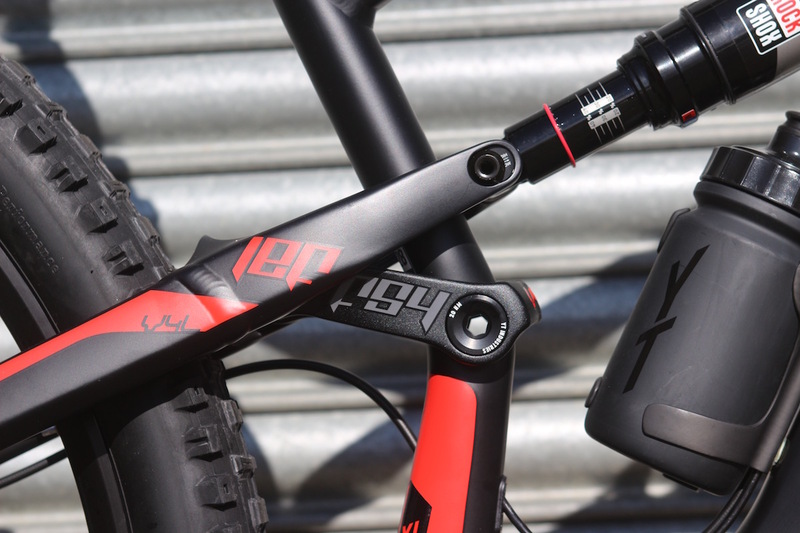 The YT Jeffsy is available in both carbon and alloy versions. 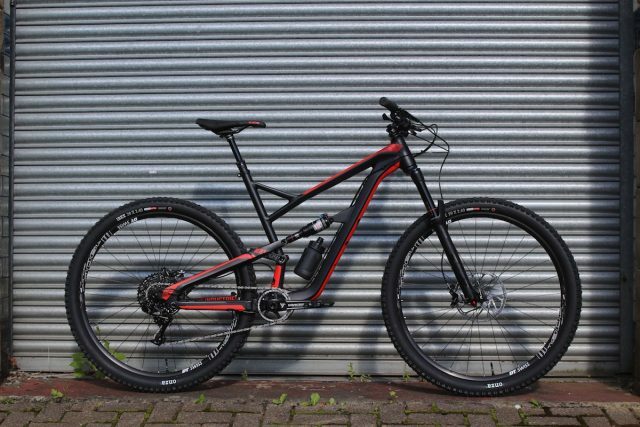 The one we’ve got here features an alloy frame, and it’s the top-spec option in the range. It’s decked out with a SRAM X1 drivetrain, Guide RS brakes and a DT Swiss wheelset wrapped with 2.4in wide Onza Ibex tyres. 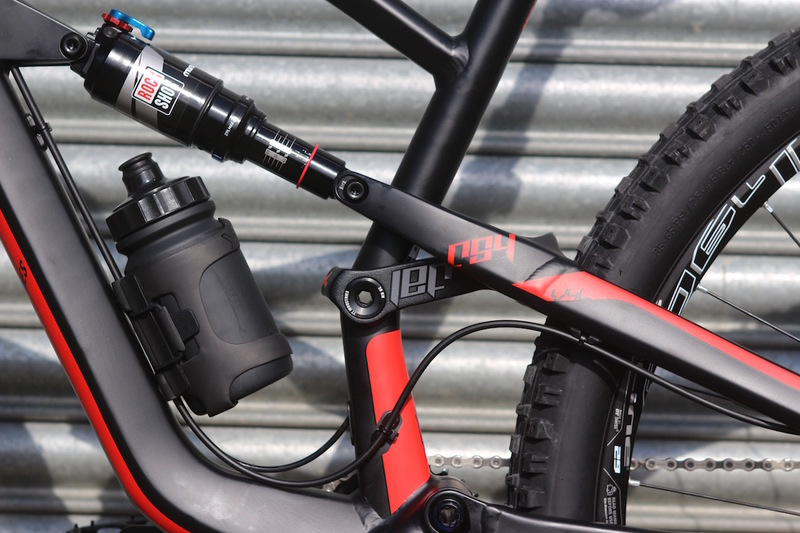 Suspension is provided by RockShox, with a Monarch RT on the back and a Pike RC on the front. Travel sits at 140mm front and rear, and geometry aims to achieve that magic ‘do-it-all’ balancing act that trail bikes are expected to do these days. A high volume air can is used on the RockShox Monarch RT rear shock. 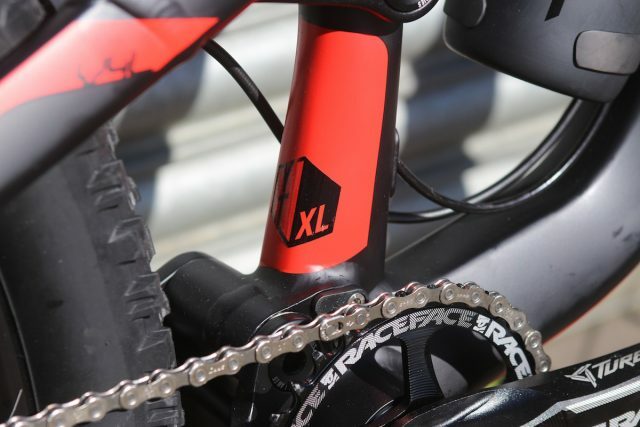 Neat graphic detail ties the upper rocker link with the seatstay. 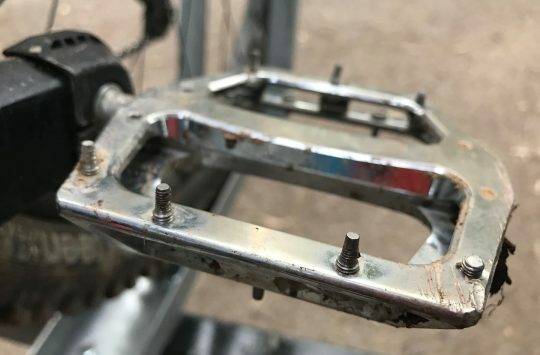 Horst-link pivot out back for the V4L suspension design. 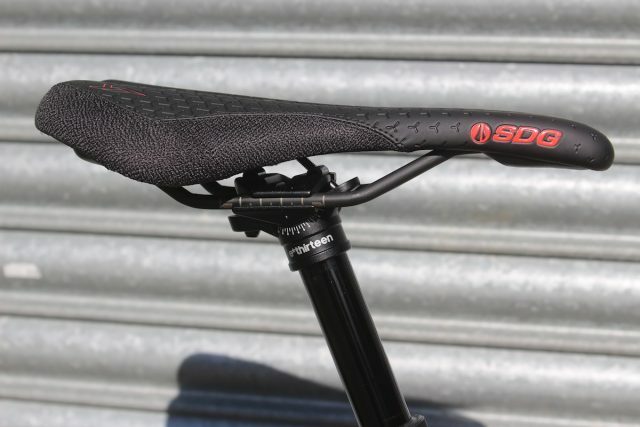 The main pivot sits just above the press-fit bottom bracket shell. You can get the 29er Jeffsy in four frame sizes. Our test bike is Barney-sized. 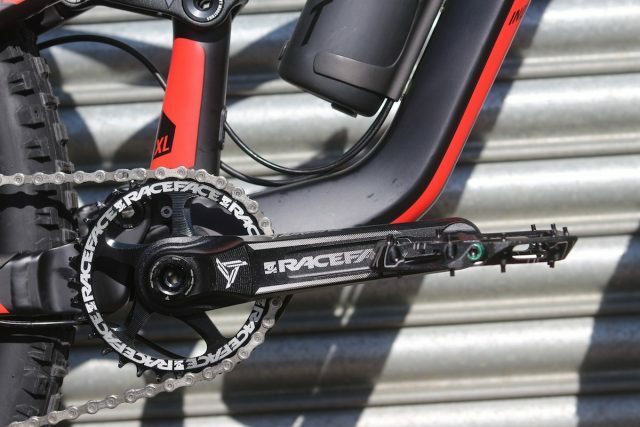 Nicely machined alloy crank arms on the Race Face Turbine crankset. 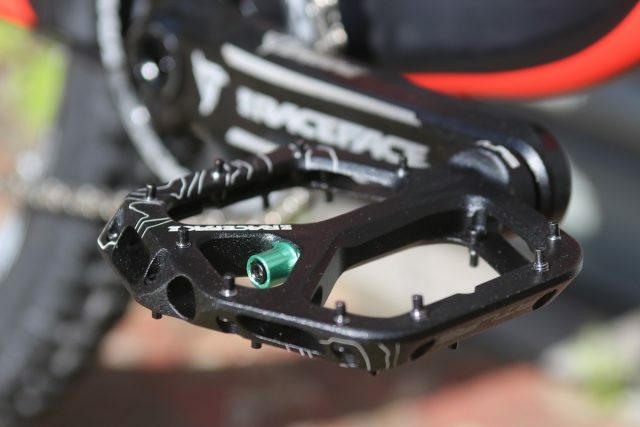 YT gives you the option of adding a few extras during the point of purchase, including these snazzy Race Face Atlas flat pedals that our test bike came with. There’s even a cute little water bottle designed specifically for the Jeffsy frame. Cable routing is mostly external, save for a short run for the rear mech inside the driveside chainstay tube. A popular SDG saddle sits on top of an e*13 dropper post. 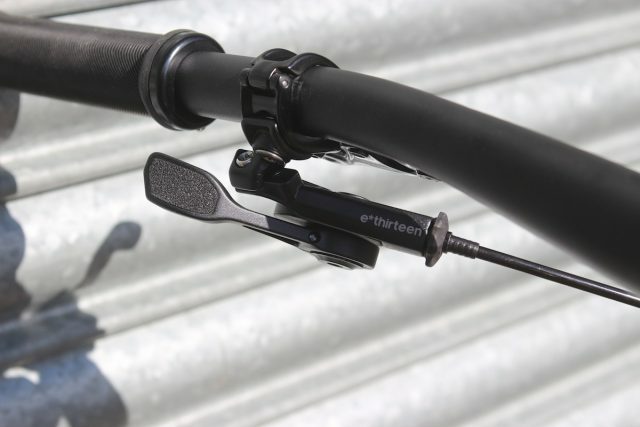 Grip tape on the dropper post lever is a sweet touch by e*13. 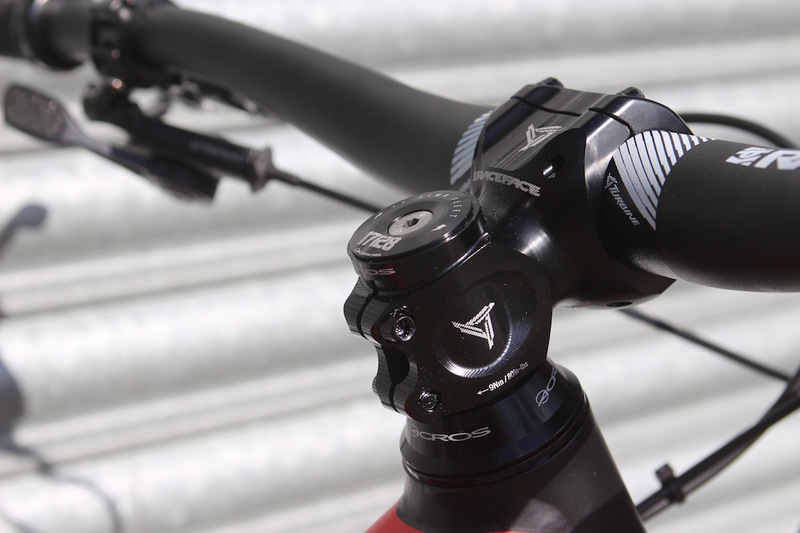 More CNC machined goodness from Race Face with its 35mm Turbine cockpit. 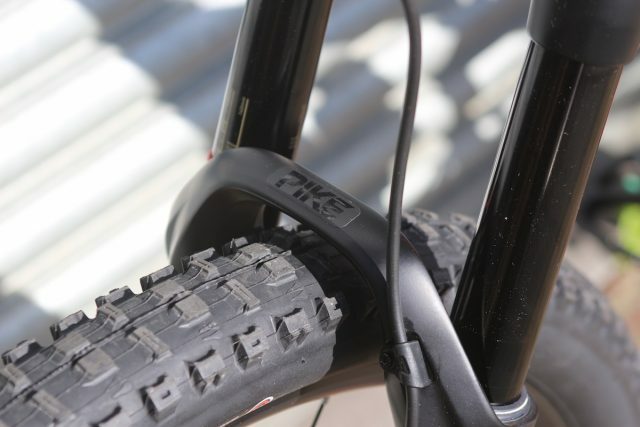 RockShox Pike RC fork does bouncing on the front. 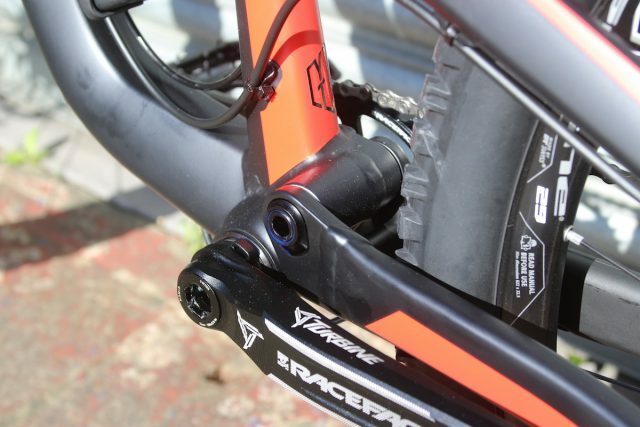 There’s 140mm of travel and a Solo Air spring for easy adjustments. 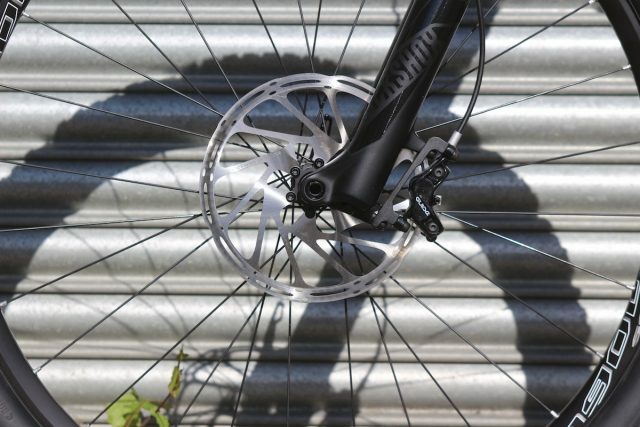 Powerful four-piston Guide callipers are spec’d front and rear, with a 200mm rotor up front. Going head-to-head with the Norco Sight and Santa Cruz Tallboy, the YT Jeffsy AL One 29 is the third bike in our ‘Alloy Iterations’ bike test as featured in the new issue of Singletrack Magazine. The idea behind the test? To find out if the alloy versions of popular carbon fibre mountain bikes are any lesser because they’re made of metal. For us though, this would also be an ideal opportunity to test out the new Jeffsy platform. 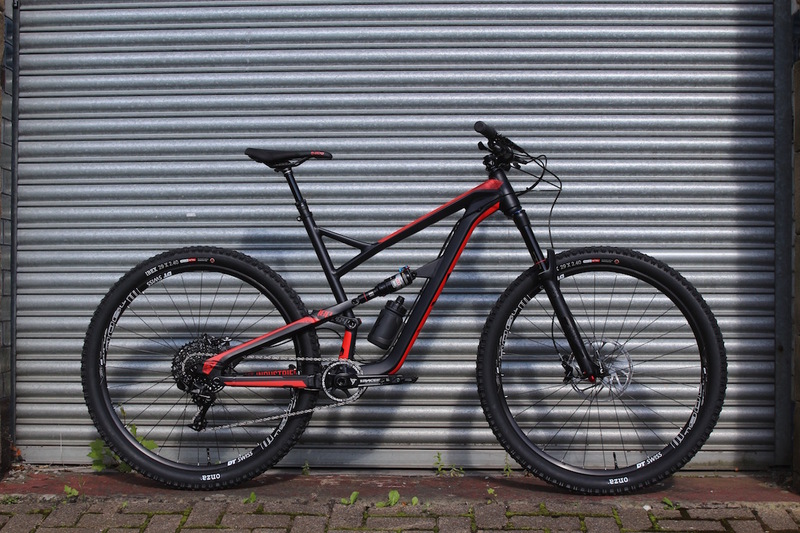 The YT Capra is an enduro bike that we see regularly out on the trails all over the UK, so we’ve been eager to see if perhaps this shorter travel trail bike might be the more versatile choice for more British mountain bikers. Want to read the full results of the YT Jeffsy review and how it compared to Norco and Santa Cruz’ offerings? Then pre-order your copy of Issue 115 of Singletrack Magazine right here, right now! The Jeffsy is pitched as the more sensible, shorter-travel version of the Capra, and is designed for all-day trail riding on technical terrain. 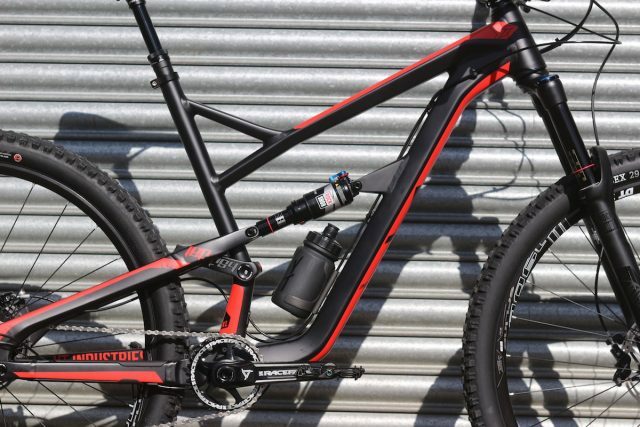 YT Launches Tues 29er downhill bike but only for tall and experienced riders!